Pilates is an exercise method designed to elongate, strengthen and restore the body to balance. Based upon an anatomical understanding of the body’s muscular and skeletal systems, we can create a comprehensive exercise programme for every client. Classes will focus on specific areas of the body, using exercises that encourage whole body movement to re-educate and restore it to optimum muscular and skeletal function. Pilates can be beneficial for everyone, regardless of age and fitness level. But if you have any health concerns, it is advisable to seek advice from your GP or health professional before starting any form of exercise. Our consultant, Alys Bailey, teaches Pilates in Bromley every week. It’s normally in small groups, but individual sessions are also available. 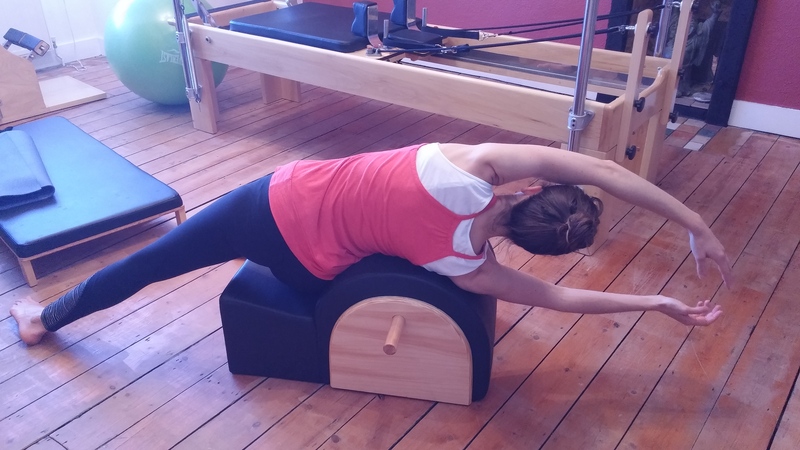 Many of our patients have felt improved mobility from attending regular Pilates sessions. Pilates can help improve flexibility of lower back and legs. We are happy to present Bromley’s first fully equipped Pilates studio, a short walk from Sundridge Park Railway Station in the north of Bromley. Working alongside Active Life Osteopathy, we are a friendly welcoming studio offering Pilates equipment sessions for everyone, from the complete beginner to the more advanced Pilates enthusiast including runners and horse riders. In addition to the studio sessions, we also offer mat work classes in both central Bromley and Beckenham. At Active Life Pilates we aim to help people achieve their fitness and rehabilitation goals through the Pilates method. Whether you choose to have individual sessions or join a small group, you will be given enough personal attention and help that will make your Pilates practice helpful to you. The studio is lead by Sara Cunningham who has been teaching Pilates for over ten years and Alys Bailey, owner of Active Life Osteopathy. Alys runs some of the specialised sessions in the studio and the mat work classes outside. Please take a look at our website and call for a chat. 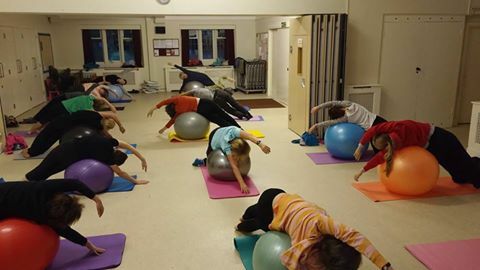 We have regular open mornings where you can come and see us and what we do in the unique setting of the Pilates studio. Deirdre Harrison, 65, Retired Teacher. I had been attending Pilate’s classes for six years and thought I was pretty confident in doing Pilates! Then I went to Alys for individual sessions and I’ve learnt so much about my body. Each session is a real learning curve for me. I recommend the one to one Pilates sessions with Alys for anyone who wants to improve their mobility, strength and balance as well as correcting their posture. I first went to Alys a number of years ago with an ongoing back problem after being dissatisfied with another Osteopath I had been using for some time. My hairdresser recommended her to me. From the outset Alys was professional taking a detailed history before examination and then discussing treatment with me. I have various musclo-skeletal problems over the years, you could say I am the most complex of all her clients and Alys has always been able to help. Her treatment is 100% hands on; she gives advice on what to do during treatment regarding exercises etc. Some of her successes with me have been keeping me at work by alleviating symptoms, getting me back to work within a week and supporting me with the GP to get further treatment when it was clear that a knee problem was a torn cartilage. I have recommended Alys to family and friends and the wider community. I cannot praise her enough; she will not treat you and keep you going back if she cannot improve your condition unlike my previous experience. Alys is a qualified Pilate’s instructor and her classes are relaxed and fun. Alys is not just a “human” osteopath; she treats horses and is well regarded by friends I know who have used her. She also treated my old dog after my vet left. She keeps her expertise and professional development up to date, by attending various seminars and training sessions. Thank you Alys. There is pure magic in those hands of yours. I am rather proud of us both. I had a rapid and dramatic improvement. What relief! I first consulted Alys with the oh-so-common but oh-so-painful problem of low back pain with sciatica. I'd had a number of medical treatments. These helped but only lasted a short time. What really helped (and lasted!) was self-help in the form of back exercises and stretches, combined with regular input working on soft tissue release with Alys. What a relief! I’ am so glad I tried it. I have suffered from lower back pain for over 10 years and have been seeing Alys for a few weeks now and the results are astonishing. My movement has drastically improved and apart from the occasional tightness in the lower back I still have in the morning I am pain free for the first time in years. Alys is very knowledgeable, professional and friendly in her approach and will give you advice on lifestyle and wellbeing as well as treat the direct symptoms. I can honestly say it has changed my life particularly with regards to my favourite sport – horse riding – which I am now able to do without being in pain. Andrew Thomlinson, 57, retired police officer and endurance athlete. Historically I have suffered with lower back problems for as long as I can remember, requiring treatment from a variety of different practices, Doctors, Chiropractics and Osteopaths. 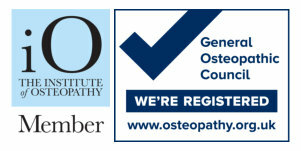 Fortuitously I was introduced to Alys Bailey 'Active Life Osteopathy' about 3 years ago, during this period my visits to her have always resulted in a successful outcome. I have just finished another course of treatment and euphorically I am pain free. I can state without reservation that the quality of service is second to none. Very highly recommended! I was recommended a visit to Alys when I complained about a bad back to my colleague. I had been suffering from lower back pain for roughly 7 months and could not seem to resolve the problem that was causing the discomfort. I have only had 3 treatments with Alys and I am extremely surprised with the improvement and difference already. Alys is clearly very knowledgeable and I couldn't have asked for any more since the treatment begun. My back is definitely on the mend and I look forward to future treatments. I started Pilates lessons a few years ago for the enjoyment of exercise and to complement yoga practice. I have grown to enjoy it increasingly, noticing how both my core muscles have strengthened and my flexibility has increased. When I experienced a stiffness developing in one of my hips I went to Alys for a diagnosis and for regular treatment. With a diagnosis of arthritis, treatment has really helped the joint’s mobility and I feel that uncomfortable tightness/restriction far less frequently. I can happily walk reasonable distances. 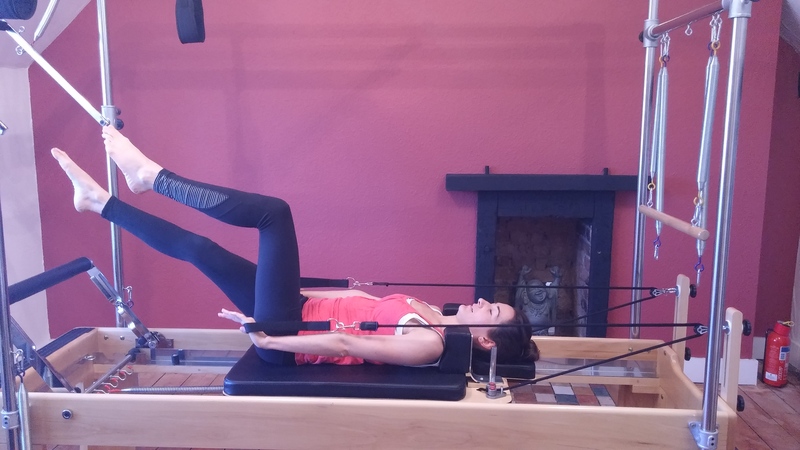 I now also attend strengthening exercises on her Pilates reformer machine; it is the equivalent of a supervised gym session with Alys observing and correcting my posture. I would thoroughly recommend Alys as a practitioner. I have been going to see Alys at Active Life Osteopathy for just 3 years and in that time she has transformed my life. Prior to seeing Alys I had been seeing another Osteopath for years but he didn't help very much and it was true to say that when I first met Alys I was first like the tin man from the Wizard of Oz as I was very stiff and had little movement in my spine. These days I walk upright, I can now do my house work and I have plenty of movement in my spine and it is all thanks to Alys. She has given me a new lease of life. I was recommended to Active Life by my Pilates teacher as she always had to straighten me up during Pilates. I knew after the first treatment I had found the right place to treat my long term back problem as I felt immediate relief. Alys has also treated my ankle. Alys works in a different way compared to other osteopaths and physios I've experienced over the last 7 or 8 years, working on the other side of my back to where I had pain. As she explained, the body is treated as a whole, not just the site of pain. I attend regular maintenance sessions and my Pilates teacher doesn't have to straighten me anymore. I would have no hesitation in recommending both Alys and Sarah for all sorts of body aches and pains. I had been on heavy medication consisting of 1800mg Gabapentin (600mg three times daily), Oxycodone/Naloxone 20/10 twice daily and 25mg Amitriptyline nightly on a daily basis for nearly 2 1/2 years. I also had access to a Tens machine (donated by local hospital Pain Clinic) to be used for a trial period none of which worked. There simply was no escape from the pain I was suffering and it was so limiting and impinged on the quality of life making it unbearable at times. Occasionally I would consider the one way ticket to Switzerland as I could and would not continue in such agony. Alys Bailey was recommended to me and I duly arrived for my appointment at her rooms in a sad and sorry state, bent almost double, only able to walk with an aid of a stick. Alys advised that if Osteopathy was to work I should feel an improvement within 3 sessions otherwise...the rest is history as they say. I have been given back a FULL and ACTIVE life for which I am very grateful. I also have a maintenance session every 6-7 weeks and am now an active participant in a Pilate’s class- SO NEVER GIVE UP! Thank you Alys Bailey. Jackie Elkins & Will the horse!